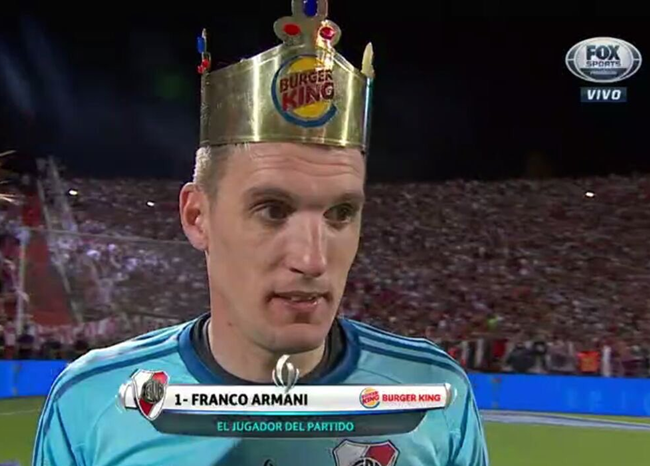 River Plate goalkeeper Franco Armani earned his plaudits with a rock-solid performance in Wednesday night’s derby victory over Boca Juniors in the Argentinian Super Copa. Indeed, Armani and his defence kept all at bay for the entirety of the game as River ran out 2-0 winners on neutral turf in Mendoza. An actual metal crown, which they forced him to wear.